Christmas House Santa is located in Santa Claus Holiday Village situated at the heart of Santa Claus Village in Rovaniemi in Finnish Lapland. Santa Claus Holidays Village offers high quality accommodation in nice and cosy cottages. Christmas House is located at the heart Santa Claus Village in Rovaniemi in Finnish Lapland. 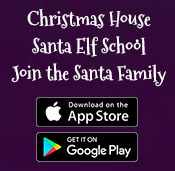 Tripadvisor: Christmas House Santa – Experience the atmosphere of an authentic Christmas eve at the Arctic Circle in Rovaniemi, in Finnish Lapland! Our company is organizing quality safaris and excursions in Rovaniemi in Lapland. We have also an own reindeer farm in Rovaniemi, and we organise unique Northern Lights safaris in Rovaniemi.